Such a beautiful day for chocolate lovers! After reading this, you’ll have multiple reasons to indulge in a bite of the bittersweet goodness of dark chocolate. I know what you’re thinking, “Ariel! That stuff is gross!” And I’m not going to argue with you. Certainly, it’s bitterness throws people off. However, the more you consume it, the better it’ll taste. From experience, I can tell you that over time it becomes a tasty treat. Plus, you can enjoy it guilt free! Surely, the only reason people consume not so yummy health foods is for their health benefits. They want the results that will yield from it. 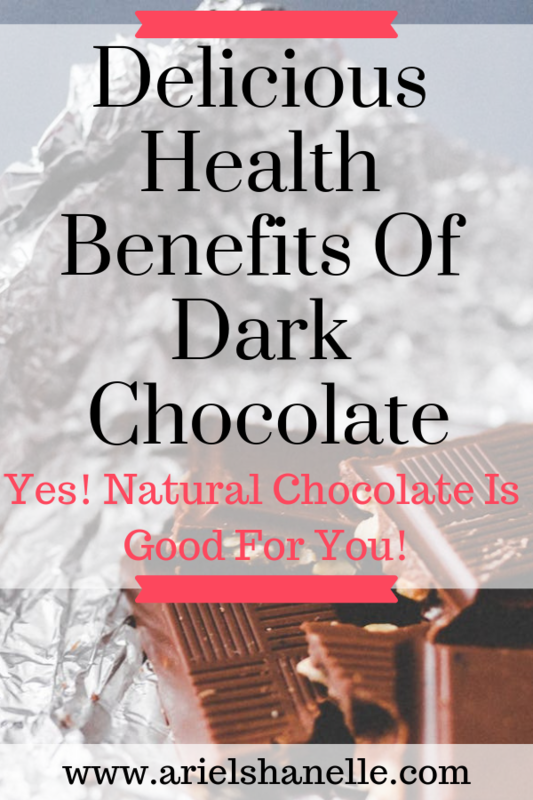 All the amazing health benefits of dark chocolate are worth it! 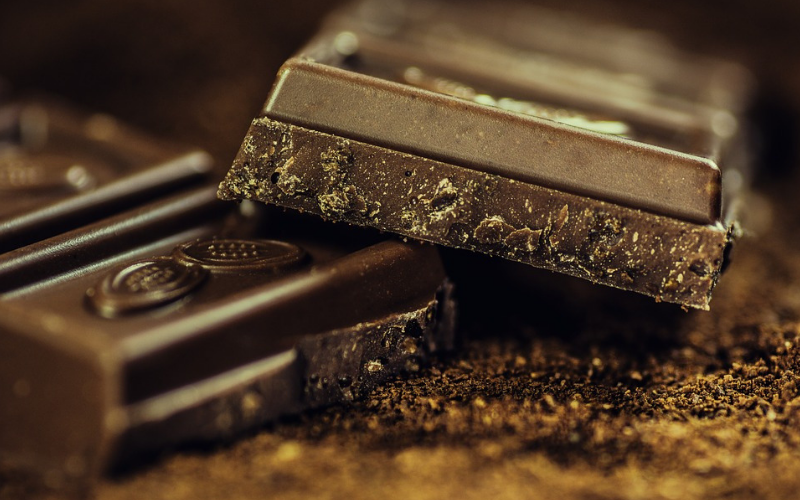 What percentage of dark chocolate is good for you? The kind you’re looking for is 70% cocoa and up. This means it’s more natural and less processed. Once the chocolate gets processed, it loses much of its nutrients. Therefore, as long as you’re eating 70% and higher, you’ll get to enjoy all these health benefits. There are two types of antioxidants in this tasty treat: flavonoids and polyphenols. Cool fact: dark chocolate has more flavonoids than what’s found in wine and tea. Since so, it may contain the ability to prevent cancer. It’s been proven that cocoa powder decreases oxidized LDL cholesterol levels found in males. You may know this as ‘bad cholesterol’. Containing the power to attack other tissues, getting its amounts lower promotes heart health. If you let them this substance run wild, it can eat up the lining of arteries located in the heart. Thank you cocoa bean! Please be aware that all chocolate contains sugar. The higher the percentage of cocoa found within it, the less sugar it has. Check the sugar amounts before consuming if you have any issues with sugar. Dark chocolate prevents insulin resistance. That’s great news! 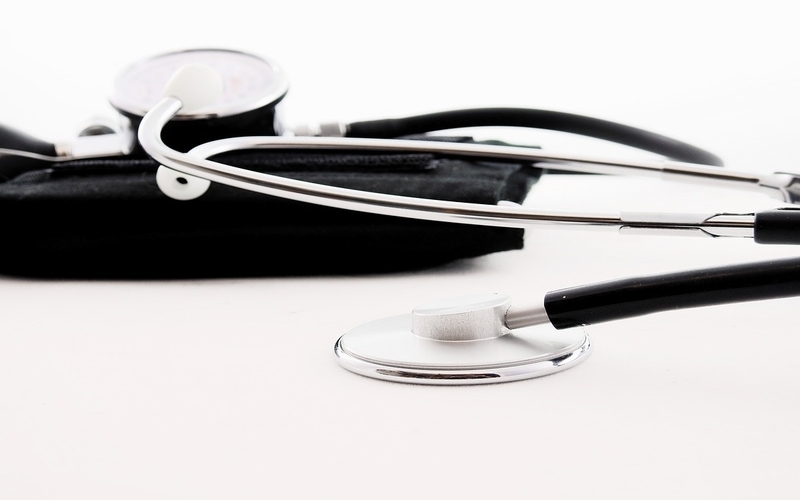 Insulin resistance is the leading cause responsible for heart disease and diabetes. Not only that, but it lowers blood pressure. How cool is that? Bodily performance and blood flow are directly related. 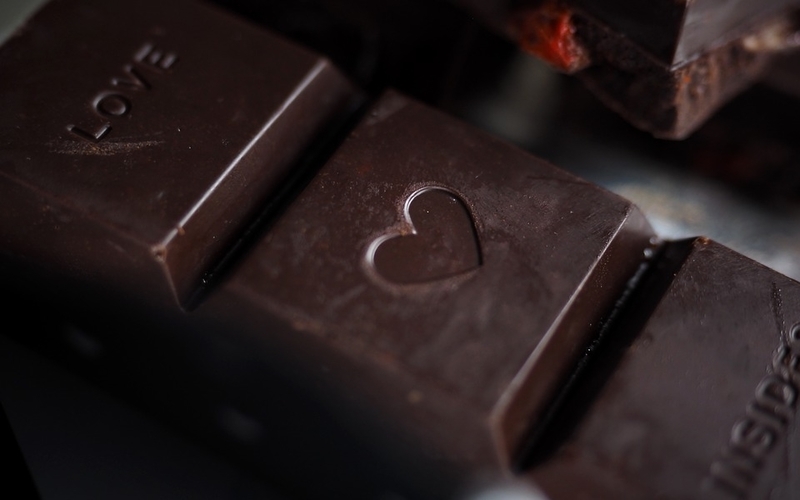 Since dark chocolate promotes blood flow, it affects multiple parts of the body. It improves skin quality, vision, heart health, and brain function. Because of this, dark chocolate is known as a ‘superfood’. If you want to decrease your chances of coming home with redness, consume this superfood before spending a day at the beach. You’ll be happy you did so. Dementia and Alzheimer’s are both caused by continuous inflammation of the hippocampus in the brain. By reducing inflammation, dark chocolate decreases your chances of ending up with these horrible diseases. Now, you can enjoy this treat guilt-free (in moderation, of course). 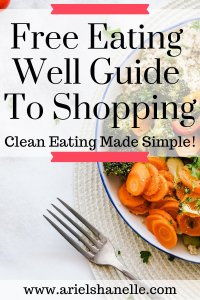 Download the free eating well shopping guide to find out a simple way to buy great quality foods and save time in the store!